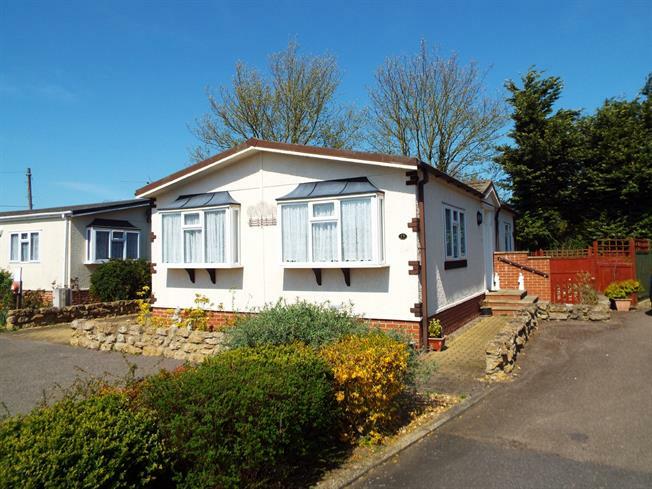 2 Bedroom Mobile Home For Sale in Ely for Offers Over £110,000. This two bedroom Park Home on the Cathedral view Site has plenty to offer. The property features a large lounge/diner with double aspect windows leading onto the kitchen with ample storage, a master double bedroom with en-suite and walk in wardrobe, a second good sized bedroom and bathroom. Outside the garden has been paved for low maintenance and off street parking to the side of the property.